JetSpot Fiber : Things to know! HomeJetSpot AnnouncementsJetSpot Fiber : Things to know! What is JetSpot Fiber ? JetSpot Fiber is JetSpot’s fiber-to-the-home (FTTH) & ethernet-to-the-home (ETTH) service in Bhubaneswar, providing ultra high speed internet with impossibly disruptive pricing which starts from ₹699 only. When is it starting ? JetSpot Fiber has started from February 1, 2016. We have already got a lot of applications from various societies who are interested and a lot of them have already been connected. Please visit our Fiber Coverage page. How fast is JetSpot Fiber ? JetSpot Fiber is 100 times faster than your normal broadband connection and its as fast as upto 100Mbps, allowing you to get what you want instantaneously. With JetSpot Fiber you may not have to wait on things buffering anymore. What technology does JetSpot Fiber use ? JetSpot Fiber uses the Cutting-Edge FTTH (Fiber-to-the-home) & ethernet-to-the-home (ETTH) Technology which is based on their Gigabit Service Platform. Our Fiber or ethernet terminates to your home. You may connect your wireless router to that device or your computer directly. Who is eligible for JetSpot Fiber ? JetSpot Fiber is currently available for bigger apartments or societies, which has more than 20+ families residing or even more. Its not available for the whole city. That means, a single building, or single customer, or single office cannot apply for JetSpot Fiber. That reason is infrastructure. To deliver that kind of speeds, we have to setup a mini network hub at those apartments which costs a lot of money and time. That is the reason, its only available for bigger societies or apartments or colonies, where we will setup our infrastructure once and then it can be easily delivered to anyone who needs a new connection in the same society. In order to implement, we need minimum of 50% of residents in the society to be ready to subscribe for the start from the same society. Once the agreement is done, then we start with the implementation process. If you are staying in an apartment, which has less than 20 units, then you may go for the Group Plans. Why JetSpot Fiber is not for the whole city ? JetSpot don’t have a active fiber network yet for the whole city. May be in the near future, but we are not sure when. We will keep you posted. So, for everyone else, Broadband Plans & Business Plans are your best bet! How much time does it take for installation ? JetSpot Fiber is not as easy as a simple wireless implementation. It needs a lot of infrastructure. Thats the reason, it takes like 7-10 days to implement and deliver post approval. Once, we have the approval from the society officials and all the documents and installation deposit is collected from all the customers, then we go ahead with the implementation. NOTE – The installation amount is upfront and the documents as well. We dont want to hear after our implementation – “I will call later”, “I will decide later”, “Connect me next month”, “I will confirm later”. Fiber is a special service and we will only approve & implement, when our terms of service is fulfilled completely. Documents Required – 1 passport photo, 1 address proof, 1 ID proof. You may file it online here. Apartments who need FTTH, the installation cost would be 2500 INR+tax and who need ETTH, their installation cost would be 1500 INR+tax only. Installation Amount is non-refundable. Basically, everyone will opt for ETTH only, as its cost effective and quicker to implement, since its ethernet cable to each home. FTTH needs 15-20 days of setup time and costs more, as it puts optical fiber to each home. ETTH needs same setup time and each house will get CAT-6 cable. 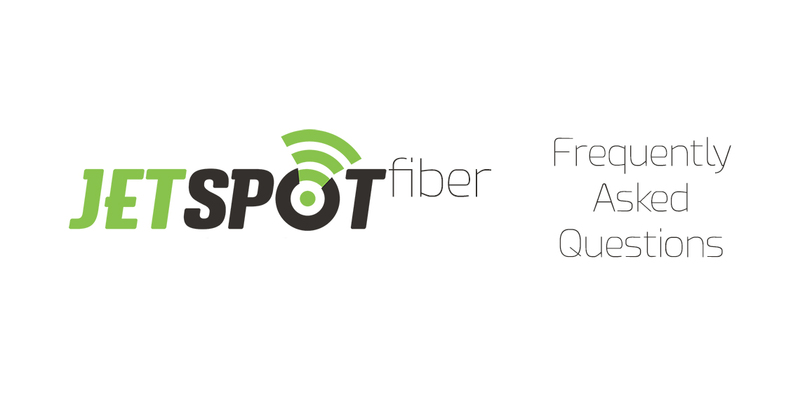 What are the JetSpot Fiber plans & pricing ? Check the JetSpot Fiber Plans here. Why is JetSpot Fiber so cheap as compared to normal wireless broadband plans ? We call our city Bhubaneswar a Smart City, so lets make it smart! Our vision is to revolutionize broadband services in Bhubaneswar by providing simple-to-understand ultra high speed internet that will enable people of our city to do so much more in their daily lives, thereby bringing them unprecedented advantage and joy, ultimately resulting in their productivity & success. What about speeds & data caps with JetSpot Fiber ? JetSpot Fiber’s amazing unlimited usage plans have no limit; they offer real unlimited data usage at amazing speeds without any data cap. Download all movies in HD, listen to every song or explore the whole of internet world at speeds from 5 upto 100 Mbps. How to get JetSpot Fiber ? First, send us an email or show your interest in the below form. We will email you with the proposal for your society and then we take it from here. Once the society officials are convinced, then we will start with documents and payment collection. Once that is done, then we start with the implementation process. How to get JetSpot Fiber quickly? In order to get JetSpot Fiber, you need to be a “man on a mission”. Talk to everyone in your society about this service, convince them, show them what we are offering, get as much as customers on board. Make them show their interest on the below form. The more the merrier and quicker! Put the word to the society president’s ear or the officials and fix a meeting with JetSpot officials and we will take it from there!